Clay arts printed on the LED advertisement signboard of Cataloghouse Osaka shop! Um, was the rainy season, was it there? Hot days continue but I wish you all a healthy. This time, it’s an introduction of a clay art that printed on a the LED advertisement signboard. Do you know the shop of the cataloghouse? My clay arts printed on the LED advertisement signboard about the new renewed Osaka shop. 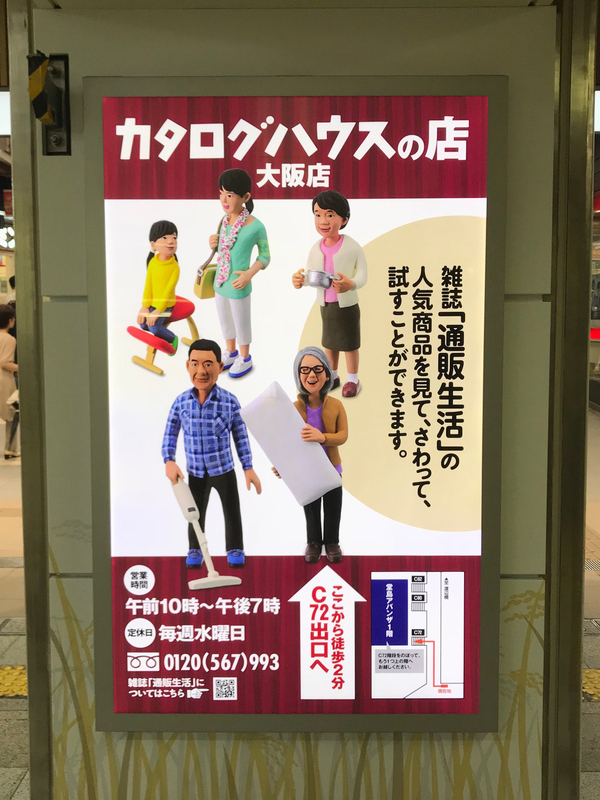 This was posted at Dojima underground shopping area (dotica) from this July. In Tokyo, it seems to be posted on the Oedo line station in Shinjuku too. 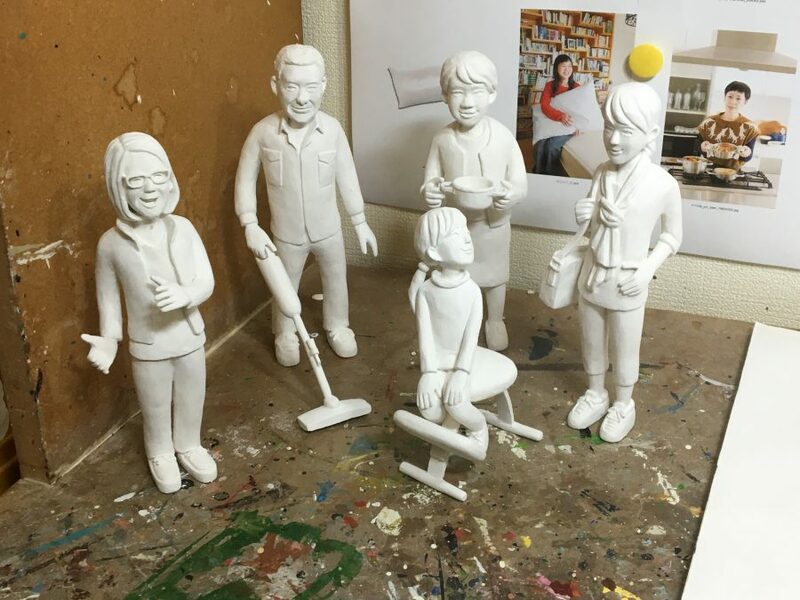 I made miniature of popular items of Tsuhan Seikatsu, Balance chair, two-handed pot, Makita’s turbo (vacuum cleaner) and medical pillow. Balance chair is cute, so I was fun to make it a miniature. This is a snap in progress. It’s a peaceful and pleasant everywhere, please come and visit. 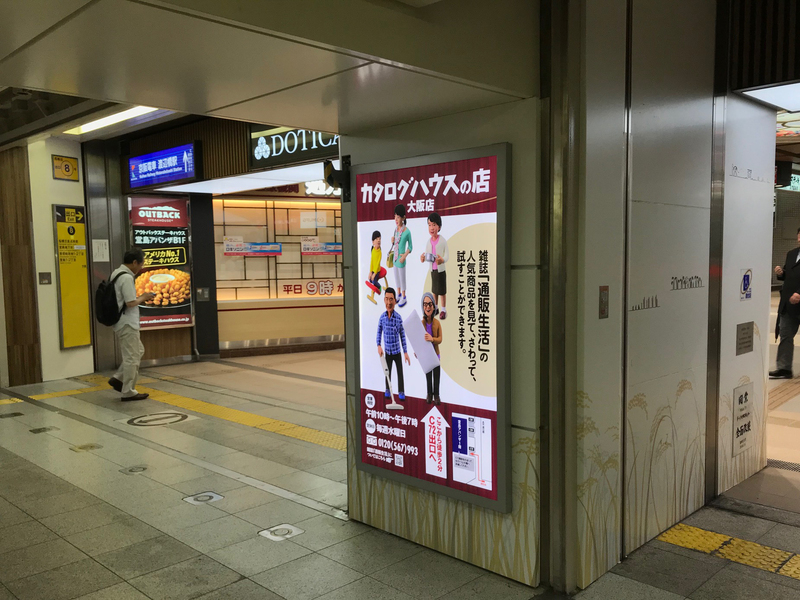 I’m glad if you can see the LED advertisement signboard at Dojima underground shopping area (dotica)! Posted in 立体イラスト and tagged clay craft, clay art, oosaka, dotica, underground shopping area, LED advertisement signboard. Claycraft, Illustration, Design, Writing. I am producing clay craft mainly for visuals for magazines, books, advertisements, etc. Illustration is good at overhead view. For more information, please see the profile page . The SNS page is the following link. It is arranged in order of active use. Comments, friends, followers, anything are welcome. Copyright © Kucci Official Site All Rights Reserved.